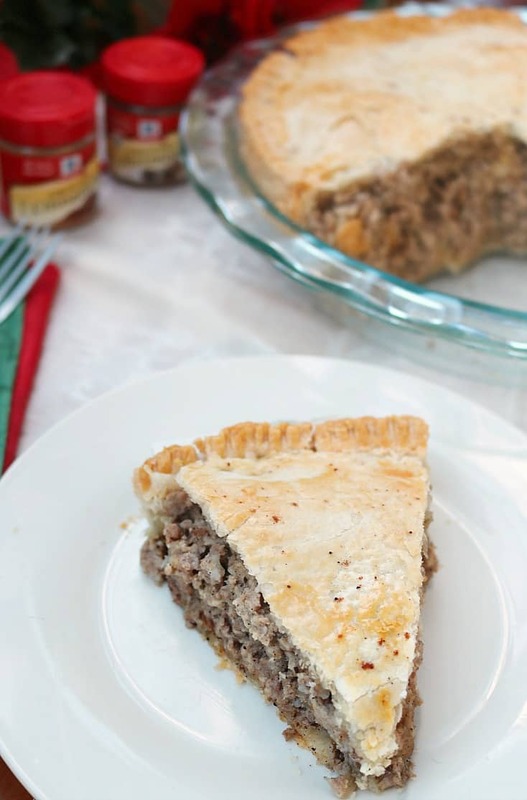 I have used McCormick® spices for years in recipes such as this pork pie! 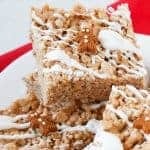 Come see how you can make McCormick and my Grandmother’s special recipe part of your holiday tradition. This is a sponsored post written by me on behalf of McCormick®. I come from a large Greek And French family, so basically that means food, food and more food. My family is known for planning a big feast whether it be a Sunday dinner, simple family get-together or a holiday. 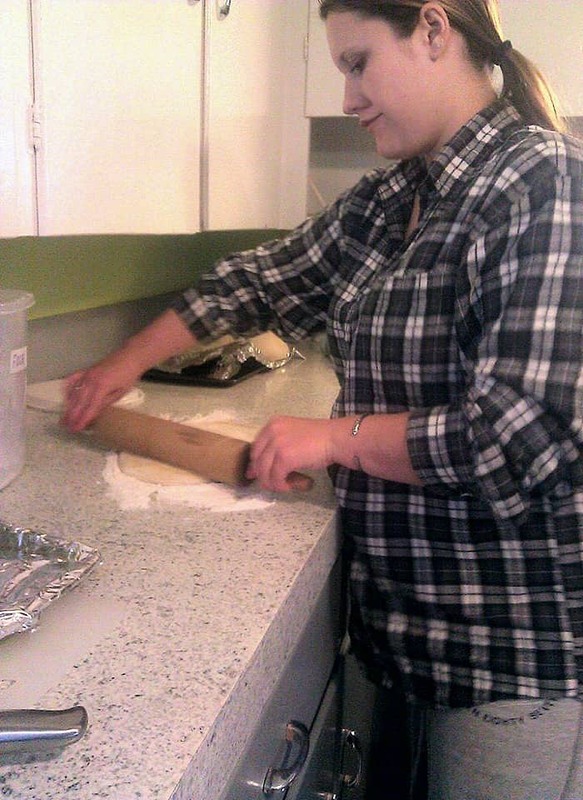 One of my favorite things to do during the holidays is cook with my girls in the kitchen. Sometimes my husband gets involved, but that usually just contributes a bigger mess so we put him on dish duty. I grew up helping my mom and grandmother cook and those are memories I wish to pass on to my girls. 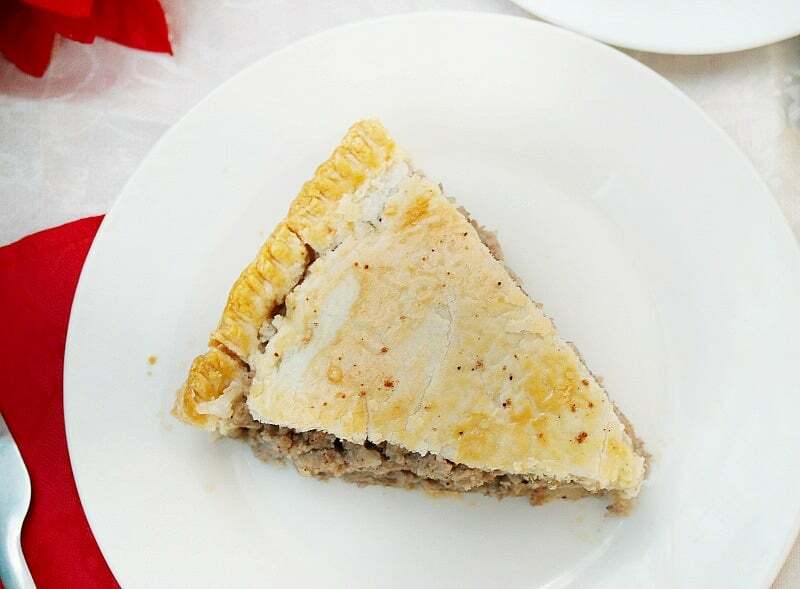 One dish I remember making with my Grandma is her specialty- a French meat pie called tourtiere or Pork pie. It’s basically ground pork and beef cooked then mixed together with mashed potato, salt, pepper and spices. 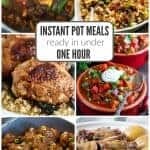 The spices used make it the perfect holiday dish. It’s one of those things that if I smell it baking it reminds me of Christmas. 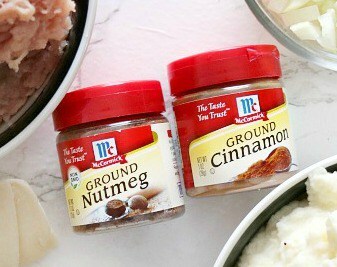 Some of the spices that go into the mix are McCormick® Ground Nutmeg and just a touch of McCormick’s Ground Cinnamon, sometimes clove. McCormick spices can be found in almost any grocery retailer, big box store and online. Look for the familiar red cap and displays. They are known for being set up in alphabetical order making it really easy to find what you need. 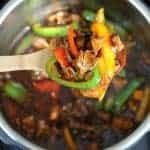 Here’s an interesting fact a lot of people don’t realize- Spices actually can lose their potency so starting with a high quality spice is important. I prefer McCormick spices because they seem to be as close to fresh ground as I can get. I work a lot with fresh herbs and ground spices, but when they are out of season or I don’t have them McCormick is an excellent replacement. Start by browning the ground beef (I used ground turkey this time), pork, onions and garlic. 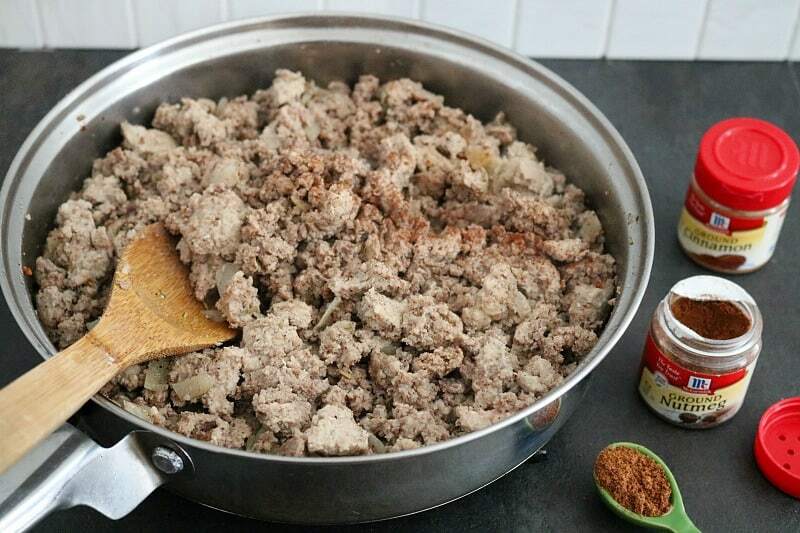 Drain fat, add spices, crumble meat with a fork and set aside. Cook potatoes until fork tender, drain & mash. Add butter, milk, salt & pepper to taste. 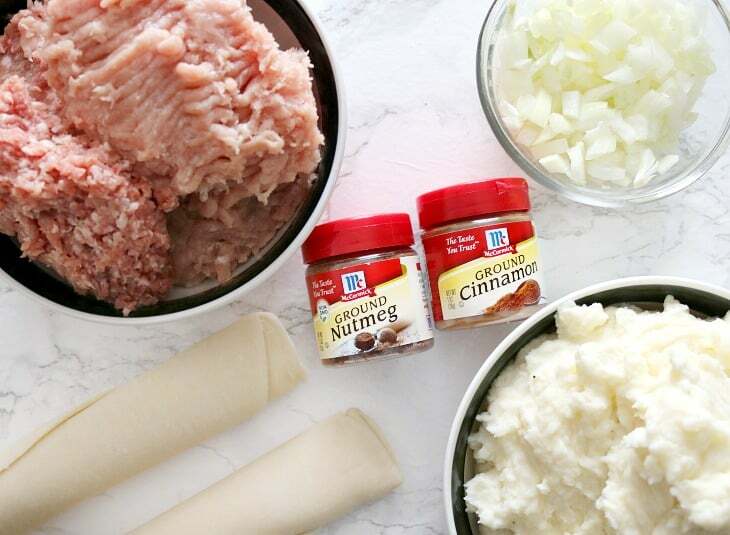 just the same as if you were making mashed potatoes as a side dish. Combine meat With potatoes. Mix well. 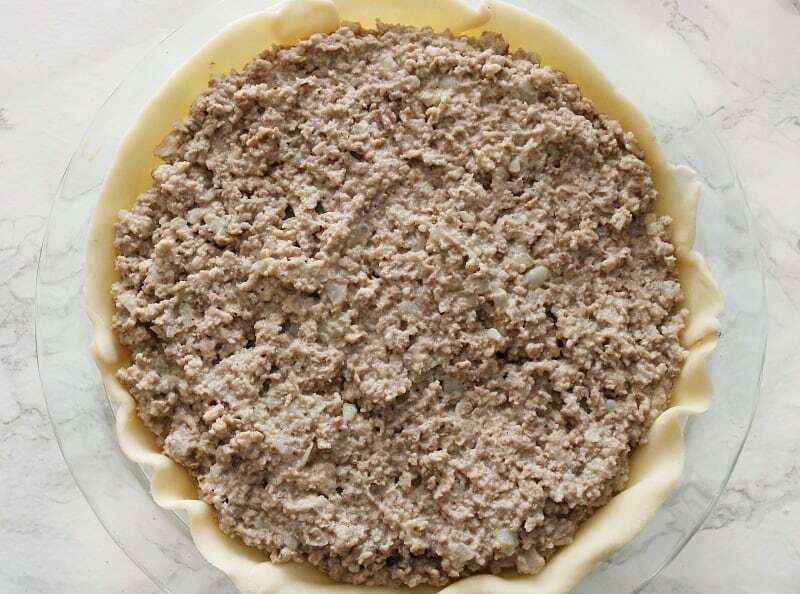 Place first pie crust into a 9″ pie plate. I like to sprinkle a little nutmeg on salt on the bottom. 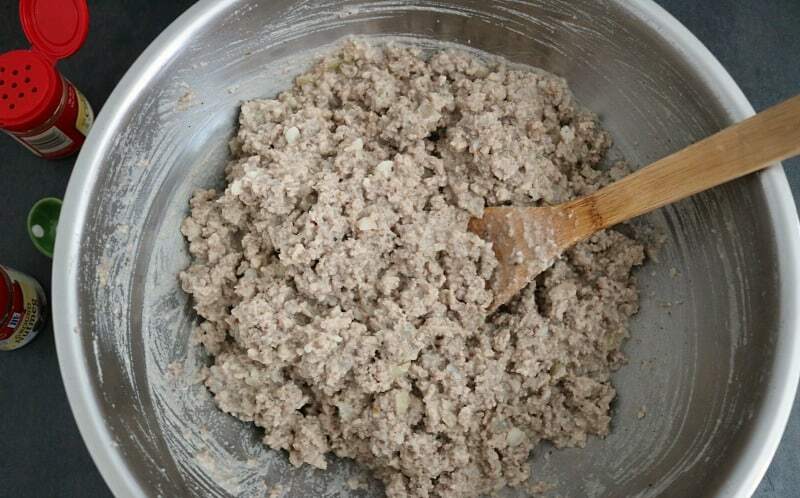 Add meat and potato mixture. 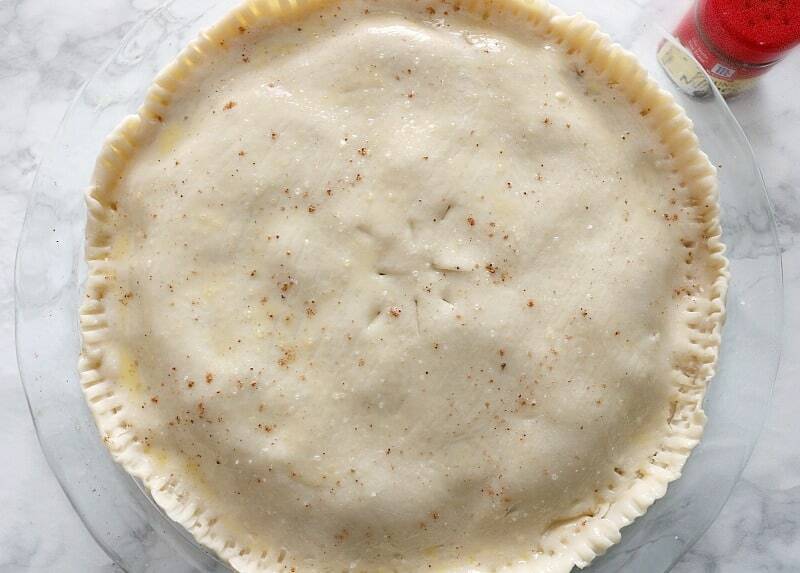 Top with pie crust, brush with egg wash and sprinkle with nutmeg & salt. 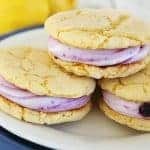 Cut and serve with cranberry sauce. Bake for 15 minutes or until crust is golden. 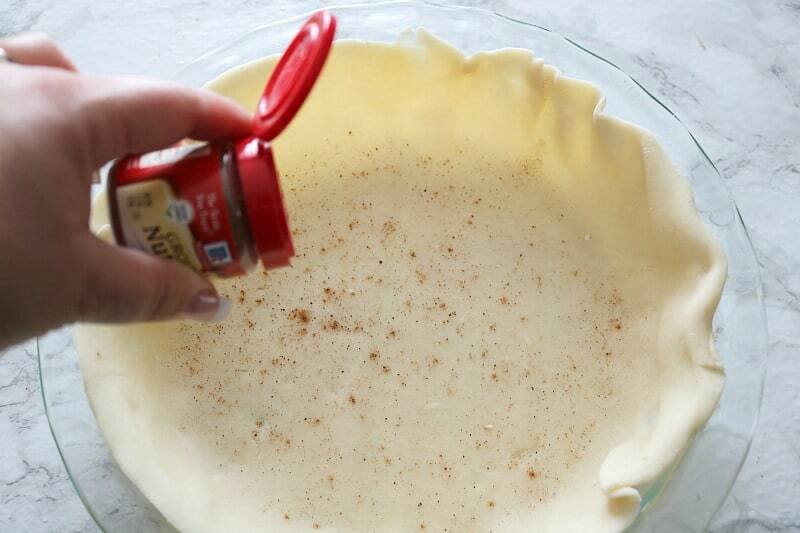 Do you have a favorite family holiday recipe that uses McCormick spices? Comment below to let us know! 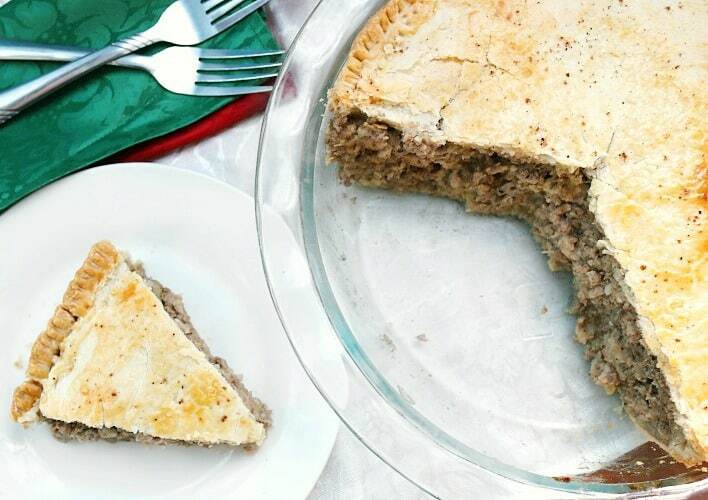 Just like the classic your grandma use to make, this pork pie will remind you of the holidays! In a large skillet, brown meat, onions and garlic. Drain fat. Mix mashed potatoes into meat. Give it a taste. Add more salt, pepper or spices if desired. 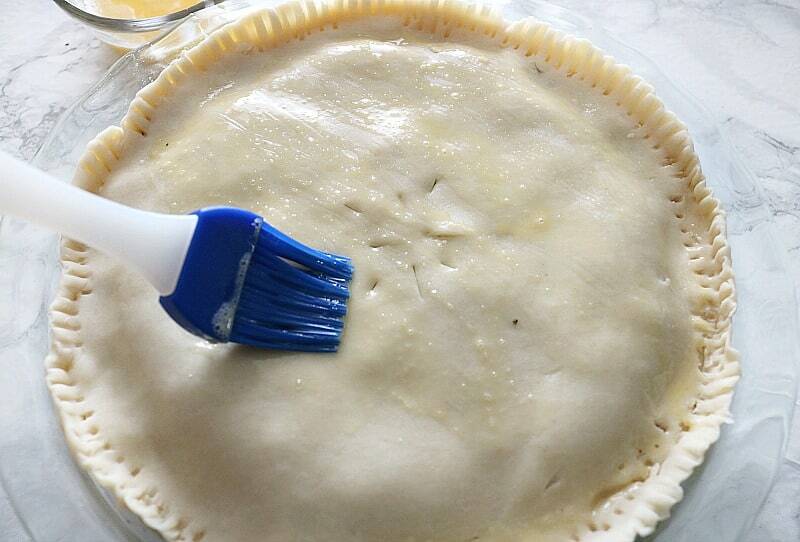 Place one crust into the bottom of a 9" pie plate. 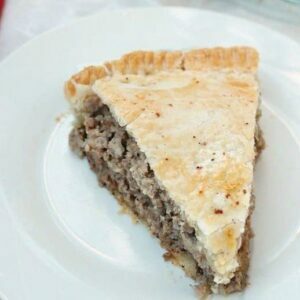 Top with pie crust, brush with egg wash.
Oh my goodness I so love this pie!!! Grew up in New England and this was always in the mom and pop store we went to. I moved away and the shop closed. My mom is French and English and my dad is welsh mixed with native American. We would have this once a month. I have been looking for years for the right recipe. All the others are lame and not really the real deal the way it was meant to taste. I love you for posting this.